Do you offer doula, midwifery or other pregnancy and childbirth-related services? Are you a childbirth educator or breastfeeding consultant? Do you have a marketing strategy that is really working for you? Are you receiving that all-important highly-targeted traffic & referrals you need? If you're considering advertising online, consider a site that ranks within the top 1% of all Heatlh & Medicine web sites....GivingBirthNaturally.com. This website launched in January of 2007 and it is currently enjoying over 175,000 visitors and over 680,000 pageviews per month - that's more than 1.6 million visitors and 8.0 million pageviews per year! It draws over 6,000 unique visitors daily and is growing rapidly. GivingBirthNaturally.com receives traffic from around the globe. According to our site stats, we welcome visitors from 195 countries around the world. Think how much exposure your services will receive! We offer a variety of options to stay within your budget, whether you're a work-at-home mom or a large corporation. Discounts are available for 6 and 12 month ads. If you need a custom advertising solution, simply contact us to discuss how GivingBirthNaturally.com can best meet your needs. Ads can vary from contextual links to featured designs. You can submit your own logos and designs or custom listings can be designed to suit your business needs for a nominal hourly fee. 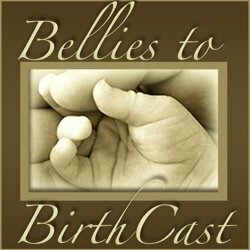 This site is geared toward natural childbirth and pregnancy choices. As such, it brings in highly-targeted traffic to this market. 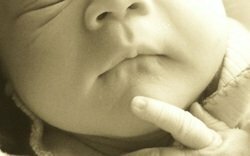 GivingBirthNaturally.com is cleanly produced with no pop-ups or tacky banner ads to distract visitors. Readers who visit this site are actively searching for pregnancy and childbirth services, the very products you provide. We reserve the right to decline any advertisement that we believe would not benefit our guests. Ads on the home page are not available. If you're in need of a full-page ad or a product or services review page please contact us to discuss your needs. So, if you're looking for increased exposure and traffic for your services, let our traffic fuel your business. As the site grows and becomes more popular, the online exposure will become more valuable. If you have questions about advertising with GivingBirthNaturally.com or wish to discuss a custom package, use the form below to contact us. All email is returned within three business days. *Ads will go live once received & reviewed. Ads expire from the date of posting, not the date payment is received. If not approved, your full payment will be promptly refunded.